We launched our new Casing plug, a fully resettable plug for use during completions or temporary abandonment. Unlike other plugs on the market that are set in casing by rotation, Interwell’s Casing Plug sets on axial force using a reciprocating auto-J to connect/disconnect. Its unique equalizing valve ensures safety during the tool release. 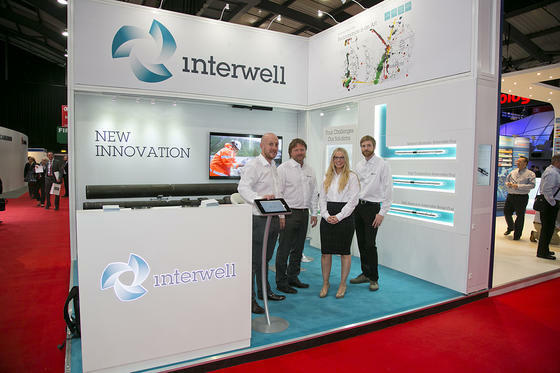 Interwell’s product line manager, Arild Stein, gave two white paper presentations on our new Barrier Verification System (BVS) at the Offshore Europe conference, in the Decommissioning of Wells and Pipelines and Taking Control and Managing Well Integrity sessions. If you're in the area, we're showcasing our offerings next at ATCE in Houston from 28 – 30th September and ADIPEC in Abu Dhabi from 9th – 12th November.